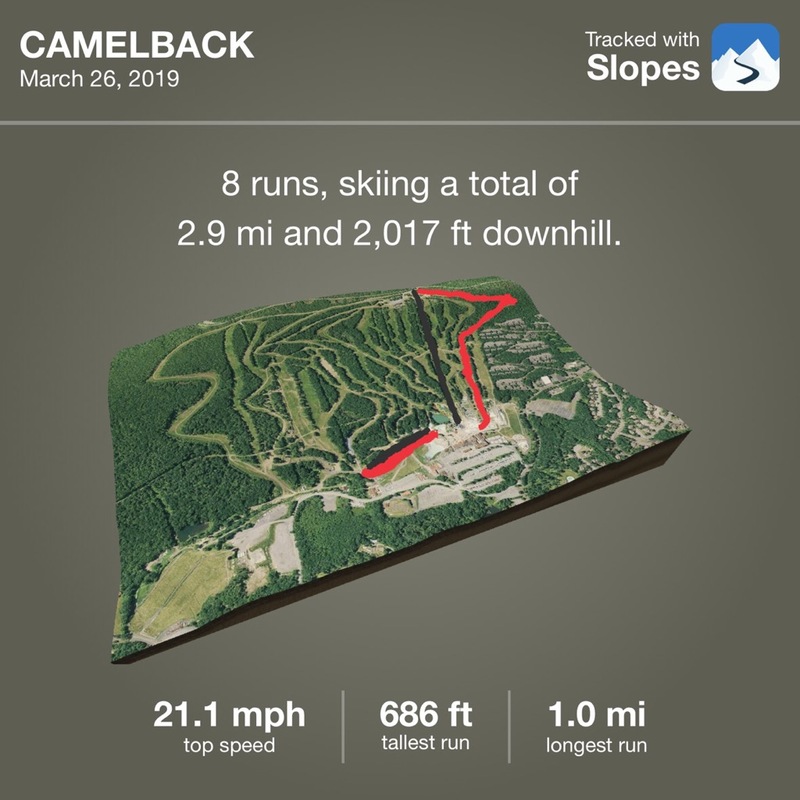 Here are some statistics from @Slopes for our skiing trip at Camelback Mountain. I didn’t have it running the entire time, this is just about a third of the number of runs, I went down the mountain on that long 1 mile run about 5-6 times while the kids were getting their lessons. The 2 long runs recorded are the ones I did at the end of the day with Finn, so he did that mile long run from 686 vertical feet with me. All 4 of us did the little run at the bottom of the mountain a number of times as well.